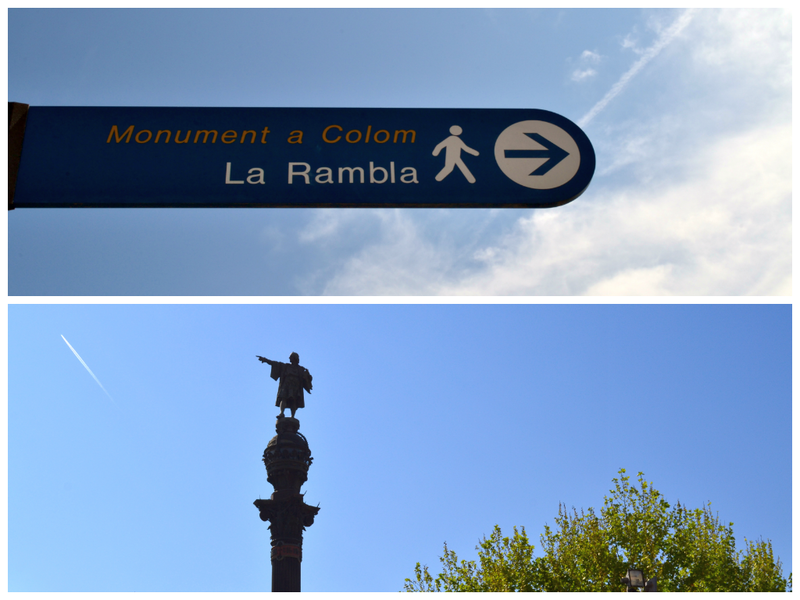 I feel so lucky and blessed for spending my Easter holidays in one of my dream cities – Barcelona. This is my third time in this gorgeous, colorful city, but for the first time with my husband dearest 🙂 ! Barcelona, in so many ways, reminds me on my hometown Split. Mediterranean sea and mentality, but on a much bigger scale. And of course – colors!! As you could notice, I loooove colors and Barcelona is a city which definitely isn’t afraid of them – and the fact that Barcelona is a home town of my favorite fashion brand, Desigual, also helps with my undying love for this city ! I will share with you some of the pictures taken during our visit. We are still in the town and will soon be of to enjoy some cava ! There are clothes …and then there are classics. One of them is definitely trench coat. I think every one of us owns some variation of the trench coat for those rainy Spring or Autumn days. I while ago I got my hands on this wonderful second-hand Burberry trench coat which I consider my prized possession. One of my favorite movie scenes is the one from “Breakfast at Tiffany’s” when Audrey Hepburn (or Holly Golightly) is trying to catch her love interest Paul dressed in her trench coat. Every time I put my trench coat on I feel like a part of an old school movie, and who doesn’t love to feel like that, if only for a couple of hours? Last Spring you couldn’t turn around without seeing someone with plastic handbag or some kind of plastic accessories. Plastic materials were see-through or in all color variations popular for Spring, like greens and yellows…I wasn’t particular fan of that trend, but after some time I caught a plastic virus 🙂 . I love to wear plastic jewelry, especially all kinds of plastic rings and bracelets – they remind me so much on my childhood. You can wear most serious outfit, but add some plastic to it and you will find your inner child in a matter of seconds! Every year during the Spring/Summer season we have one recurring fashion trend – flower prints. And boy, do I love that trend! Every year has some trend variations – one season there are tribal prints, other vintage feel of the 50s. It is easy to go overboard, so don’t use different flower fabrics in the same outfit. I will occasionally wear flower prints during the winter, probably on some jumpers or coats, just to cheer things up, but the Spring season is perfect one to empty out all of the flowers from your wardrobe and say hello to warm, sunny days 🙂 !